We all know that we should swatch before every project. But most of us don’t. Myself included. 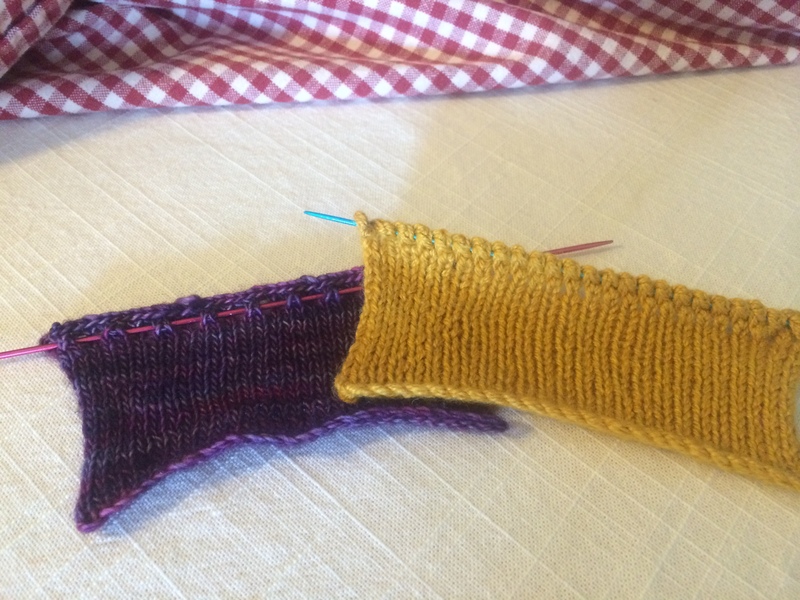 Swatching is a tool, just like needles, rulers and books, and not every tool needs to be in every project. … to figure out how large a piece will be. … to see how the final fabric will feel. … to clarify a design. … to have a record of an idea I don’t have time for at the moment. … to try out a color combination. … to learn a new technique. And maybe most importantly I swatch to play. I see swatching as a place to experiment and try new things out with no strings attached. There are certainly “best practices” when it comes to swatching, but there’s no wrong way to swatch, just plenty of right ways. This is a snip-it from a larger article in Shawls to Play With, which has 4 patterns and 5 articles all focused around playing and experimenting with your knitting.